(LA3)SAUGUS, Cal., Apr. 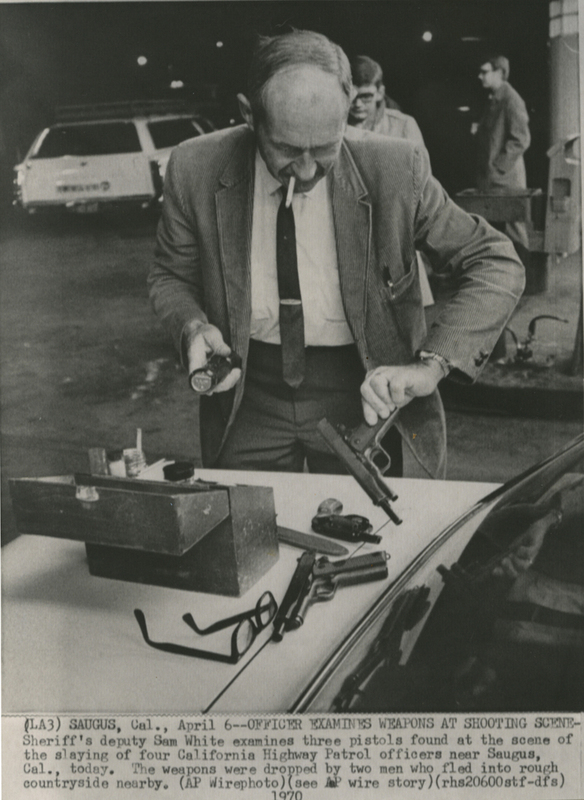 6--OFFICER EXAMINES WEAPONS AT SHOOTING SCENE--Sheriff's deputy Sam White examines three pistols found at the scene of the slaying of four California Highway Patrol officers near Saugus, Cal., today. The weapons were dropped by two men who fled into rough countryside nearby. (AP Wirephoto).